Life would be so much simpler if everything dropped by itself onto our laps. Things we usually go searching for, like jobs, the perfect girl to marry, a new house, or the next best app. The “next best app”? I don’t think God is going to make the search for the first three that easy, but a thoughtful developer has made the hunt for an iOS app that we need and want just a tad easier. Think of AppAlerts as the ‘Google Alert’ for app search and you won’t be far from hitting the bull’s-eye. There are apps available which help you search for specific apps on the Apps Store in different ways. But that’s part of the problem…you have to do it every day. AppAlerts saves you the onerous job of sifting through more than 600,000 apps that are on the App Store by automating it completely with keywords. That’s how a user has described the iOS app in the comments. To properly define it, AppAlerts is a free app that sends you instant notifications when new apps are released matching your specific interests. All you have to do is enter keywords that describe the app you are searching for. AppAlerts scans the App Store 24 x 7; and when it finds a match, it notifies you immediately by sending a push notification or email alert. All you have to do is to browse to the app’s install link and do the needful if you think the match is spot on. As the screen above shows, the first step asks you to set up specific keywords that the app will use to search the App Store and come up with the right hits. You can instantly test out your keywords by looking at matching apps. As you can see, my keyword [learn photography] hasn’t quite given me the results I was looking for. ‘Attack Helicopters’ have hardly anything to do with photography except sharing the ‘shooting’ word. I need to tweak my keyword a bit, put in inside inverted commas, and test it out again by hitting the Show matching apps button. There! Now, I think I have got it right. Similarly, you can set up multiple keywords. AppAlerts allows you to toggle them on and off at will, and when they have served their purpose, you can delete them too. Whenever, AppAlerts gets a hit that matches your keyword, it will send you an instant notification that looks like the screen below. You can go for an email notification also from the Settings screen. On the same Settings screen, you can also decide on the frequency of your alerts – do you want to receive them immediately, or maybe once a day. 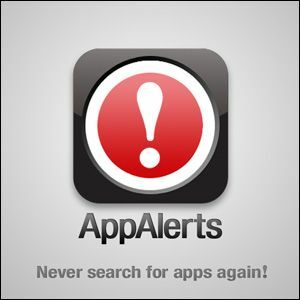 You can also look into the Popular Alerts and Popular Apps that are probably collected from the community using AppAlerts. Popular Alerts for instance, helps you take in some of the categorized keywords and add them to your own alerts. You're advertiser uses a pop up which makes this page unusable when it finishes loading. I'm writing this quickly. It created over 25 additional dialogs. What are y'all thinking? ! I wanted to share this page, but I'm afraid to. I'm using Chrome on Android. We will definitely look into this. Strange, because we don't have ad pop-ups. Thanks Vanessa.